Bellessi Glass Filler Panels are manufactured from toughened, low iron glass, colour matched to be the perfect partner for use behind your gas cooktop along side your polymer panels. Giving you the DIY option to install Bellessi behind all types of cook tops. Splashbacks How to paint a tiled splashback This guide tells you the tools you need and gives you some handy tips on how to paint your tile splashback. Learn more with Bunnings Warehouse. Splashbacks Install a stainless steel splashback A stainless steel splashback can make a stylish addition to your kitchen that also protects the wall behind your cooktop. We’ll show you how easy it can be to install one yourself. Splashbacks How to tile a splashback Find out just how easy it is to tile a splashback yourself with our step-by-step guide. 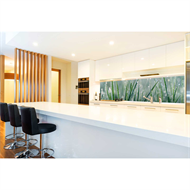 Splashbacks How to install an acrylic splashback Find out how to successfully measure up and mount a splashback for your kitchen. Ideas & Makeovers Subway kitchen The U-shape design of this kitchen makes it easy to work in and provides plenty of workspace. 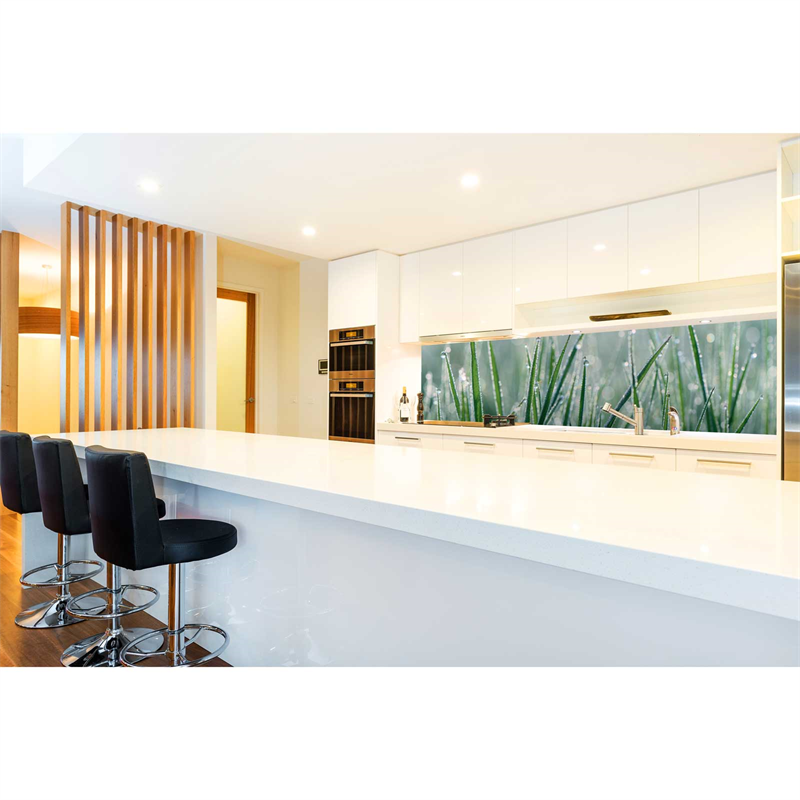 The two-tone cabinetry makes a bold design statement that is neatly finished off with a stone benchtop with waterfall edges. Ideas & Makeovers Simple kitchen makeover We’ll show you how easy it is to give your kitchen a complete makeover with just a few simple updates.